The free Alto Glockenspiel for HALion provides you with the original sound of the legendary Glockenspiel, but adds some fresh effects to turn the sound into something new. Owing to the fact that the sampled model also has a one octave lower range than a usual Glockenspiel, the sounds are much softer and mellow. The instrument was recorded by beating the metal bars of the Glockenspiel with thin sticks (hard articulation) as well as soft mallets (gentle articulation) in two or three dynamic layers and three Round Robin variations. With the included cabinet simulation, a rotary simulation, a tone control, a length control and reverb and delay amount, it is very easy to transform the sound into something from another world. The Alto Glockenspiel Free HALion version comes along in one complex patch with two kinds of a glockenspiel. 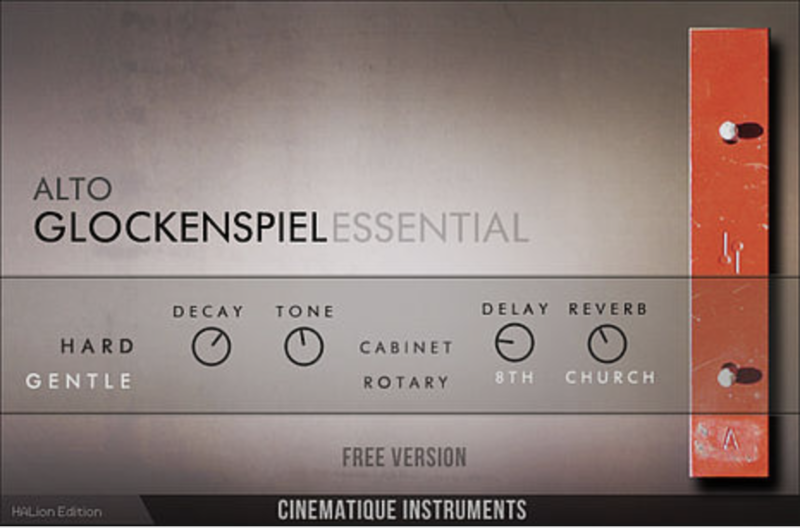 Its 'Big Brother' is our GLOCKENSPIEL BOX for Kontakt - see here. 5. Authorisation - Unzip and doubleclick the .vstsound-file and follow the instructions. For further help please watch the YT video. It shows a playalong as well as a walkthrough of the Alto Glockenspiel Essential for HALion.